IS-EXPRESS.COM is a common reshipping scam. The scammers buy items on the internet using stolen credit cards and PayPal accounts and have them sent to you to reship to them. These scammers are commonly located in Eastern European countries so guess who's left holding the bag? You. The person who is transporting stolen goods. We are open Monday - Friday from 09:00 - 17:00 EST. 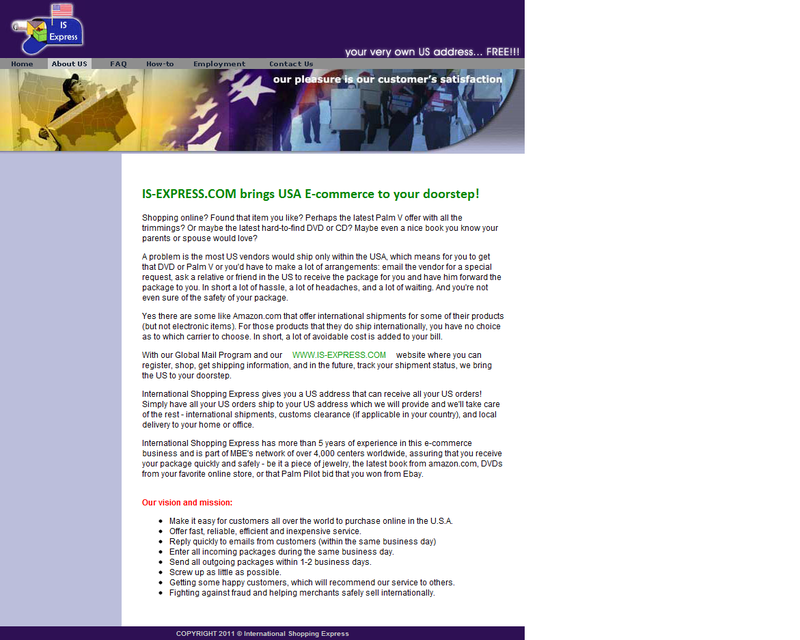 International Shopping Express is looking for shipping agents in the U.S.A.
Its hosted by the same company. 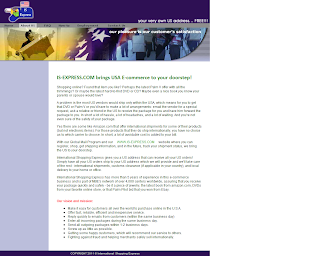 IS-EXPRESS.COM brings USA E-commerce to your doorstep! Shopping online? Found that item you like? Perhaps the latest Palm V offer with all the trimmings? Or maybe the latest hard-to-find DVD or CD? Maybe even a nice book you know your parents or spouse would love? A problem is the most US vendors would ship only within the USA, which means for you to get that DVD or Palm V or you'd have to make a lot of arrangements: email the vendor for a special request, ask a relative or friend in the US to receive the package for you and have him forward the package to you. In short a lot of hassle, a lot of headaches, and a lot of waiting. And you're not even sure of the safety of your package. Yes there are some like Amazon.com that offer international shipments for some of their products (but not electronic items). For those products that they do ship internationally, you have no choice as to which carrier to choose. In short, a lot of avoidable cost is added to your bill. With our Global Mail Program and our http://www.is-express.com/ website where you can register, shop, get shipping information, and in the future, track your shipment status, we bring the US to your doorstep. 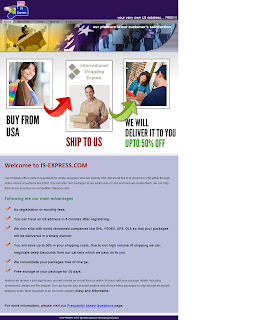 International Shopping Express gives you a US address that can receive all your US orders! Simply have all your US orders ship to your US address which we will provide and we'll take care of the rest - international shipments, customs clearance (if applicable in your country), and local delivery to your home or office. 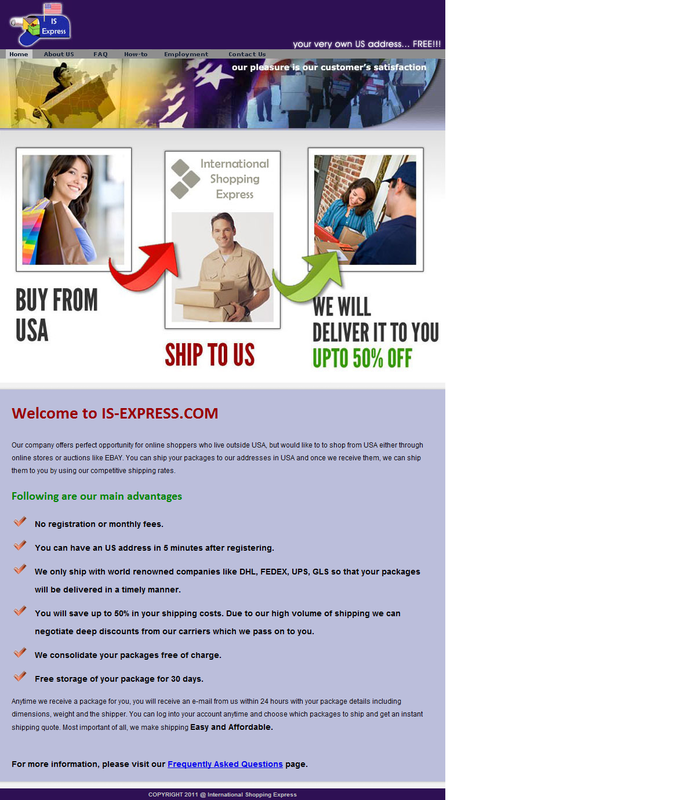 International Shopping Express has more than 5 years of experience in this e-commerce business and is part of MBE's network of over 4,000 centers worldwide, assuring that you receive your package quickly and safely - be it a piece of jewelry, the latest book from amazon.com, DVDs from your favorite online store, or that Palm Pilot bid that you won from Ebay. Make it easy for customers all over the world to purchase online in the U.S.A.
Offer fast, reliable, efficient and inexpensive service. Enter all incoming packages during the same business day. Send all outgoing packages within 1-2 business days. Screw up as little as possible. Getting some happy customers, which will recommend our service to others. Fighting against fraud and helping merchants safely sell internationally. Following are answers to some of the frequently asked questions. Do I need to pay for registering with your company? Do I have to pay a monthly fee to be registered? Which Countries do you ship? What is the maximum package size that I can ship? Can you repack my packages? Can I ship letters and magazines with your company? How long can you keep my packages and is there a storage fee? Can I use another company to ship my packages once they arrrive to your facility? How do I find out how much it will cost to ship my packages? How do I know if you have received a package for me? Which address will I use to send my packages in USA? Who pays for the duties and taxes? What if my package gets damaged during shipping? Are there any restricted items that I can not ship? How do I pay for my shipping cost? Do I need to pay a monthly fee to use your services? We do not charge a monthly fee for using our services. The only fee you will be paying is the shipping cost of your packages. You can store your packages in our facility for a max of 30 days. We ship to over 200 countries all around the world. The maximum package size we can ship is 140" length plus girth. The max length is 110"
When you ship multiple packages, your shipping rate is calculated based on the total weight and volume of your packages. The number of your packages does not increase or decrease your shipping rate. When you make your purchases in the USA, we would recommend you to ask your supplier to pack your packages as small as possible because sometimes we receive merchandise packed in a much larger box than it is necessary. If you need us to repack your packages, we can do so for a fee of $10.00 per package. Yes, you can. When you receive letters and magazines, you will receive an e-mail informing you about the details. We also offer Mail Scan service where you can ask for your mail to be scanned and e-mailed to you. The cost for this service is $5.00 for the first 3 pages and $1.00 for each additional page. We can keep your packages in our facility up to 30 days. Any package left more than 30 days will be considered abandoned and will be disposed of. Once your packages arrive to our facility, you will need to ship them with one of our discounted shipping services like Fedex, DHL, UPS or GLS. To avoid any surprises, we would encourage you to get a shipping rate for your packages, prior to sending to our facility. You can get a price of shipping of your packages from our manager by e-mail. How do I know if you have received any packages for me? Once we receive a package for you, it is entered into our system and you will receive an e-mail with your package details including dimensions, weight and who it was shipped from. Our shipping services are door to door including customs clearence, but not including duties and taxes. You will pay for the duties and taxes. These fees will be collected from you when your packages are delivered to you. If the value of the package is high and requires a substantial amount of duties and taxes, our partners may contact you to secure the payment. Please make sure that, when sending a package, you are aware of the duties and taxes and are willing to pay it. If these fees are not paid, we will be billed for it in which case we will charge them to your credit card plus a 20% service fee. We take the utmost care of your packages during shipping, but it is possible that they might be damaged during shipping. It is very important to use sturdy packing materials like double walled cardboard boxes and protective fillers to insure the safety of the package contents. Each shipment carries a $300.00 insurance free of charge and if you need more insurance, you can purchase it online (Max $10,000.00). If your package gets damaged during shipping, you can file a claim by calling our customer service at 1(863) 226-1088. Your insurance amount can not be more than the value declared on your Commercial Invoice. 1. Human corpses, human organs or body parts, human and animal embryos, or cremated or disinterred human remains. 3. Firearms, weaponry and their parts. 4. Perishable foodstuffs and foods and beverages requiring refrigeration or other environmental control. We only ship food items with FedEx or DHL. We can not ship any food items with GLS and UPS. 5. Live animals (including insects). 6. Plants and plant material, inc?uding cut flowers. 7. Lottery tickets and gambling devices where prohibited by local, state, provincial or national law. 8. Money (coins, cash, currency, paper money and negotiable instruments equivalent to cash such as endorsed stocks, bonds and cash letters). 9. Collectable coins and stamps. 10. Particularly valuable goods (e.g. precious metals and stones, jewelry and genuine pearls, objects of art, antiques). Duty drawback claims unless advance arrangements are made. U.S. Drug Enforcement Administration export permit. Shipments destined to or being withdrawn from a Foreign Trade Zone. Certificate of Registration shipments (CF4455). Shipments moving into or out of Foreign Trade Zones or bonded warehouses. Fish and Wildlife/CITES export permits. 13. Hazardous waste, including, but not limited to, used hypodermic needles or syringes or other medical waste. 14. Shipments that may cause damage to, or delay of, equipment, personnel or other shipments. 15. Shipments that require us to obtain any special license or permit for transportation, importation or exportation. 16. Shipments whose carriage, importation or exportation is prohibited by any law, statute or regulation. 19. Dead animals (including insects) or animals that have been mounted. 20. Goods packed insufficiently and/or not standard forms of packaging. 22. Packages that are wet, leaking or emit an odor of any kind. You can pay for your shipping costs with a credit card, wire transfer or Western Union\MoneyGram transfer system. For credit card payments we will need you to fill out and fax us a Credit Card Authorisation form. We will need this form one time only, as long as you use the same credit card. 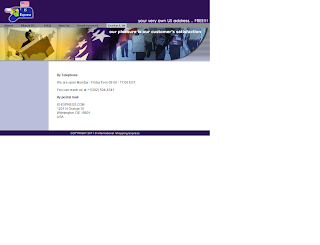 You can download the Credit Card Authorisation Form. We thrive to give our customers the best service for delivery of their packages. In case of damage to your packages during shipping we will reimburse you up to $300.00 per shipment up on inspection of the packages and approval of your damage claim. Using International Shopping Express is as EASY as 1-2-3! With your own USA address, you become a "virtual US resident", allowing you to receive packages and documents. From your address, these packages and documents can then be sent to you in your home country. Step 2: USE YOUR ADDRESS! As part of the privileges of being a "US resident", you are now capable to shop in Internet sites that ship only within the US or who don't ship internationally. 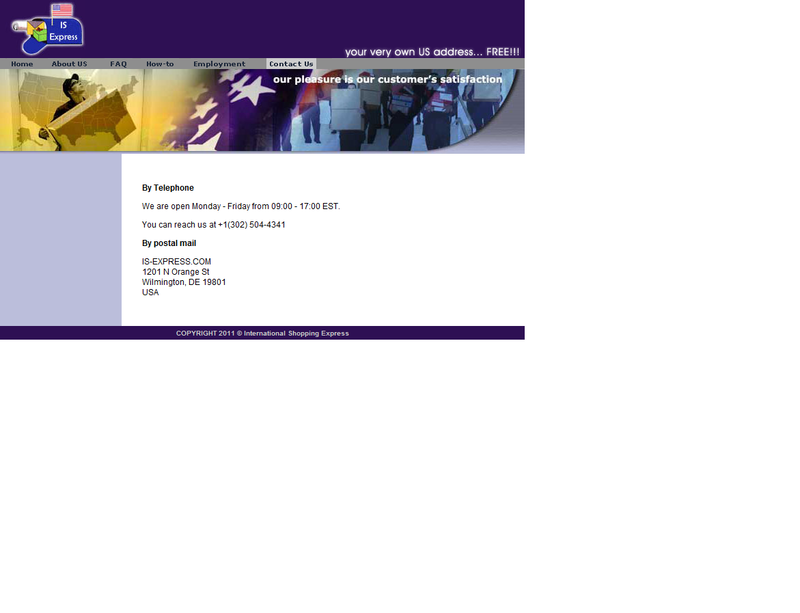 Now you can shop at Macys.com, bloomingdales.com, Buy.com, Reel.com, eBay.com, Amazon.com, etc. You can then have your packages shipped to your USA address given to you by International Shopping Express, which will then forward to you in your desired destination. Tell people about your address! You can then receive your letters, documents and other packages sent to your US address, as if you were a resident of that country! You can use this address as shipping address when ordering from mail order catalogues, auctions, magazines, bank statements, etc.! Once your package has arrived at your (US) address, our US Hub will receive, sort, inspect, process, prepare airway bills, and forward to you in your destination automatically if there are no problems in your shipments. However, we will notify you through email if there are some discrepancies or problems such as No Invoice/Value, Items not allowed to be shipped, damaged items or packaging, etc before we finally forward to you or return back to sender. We will compute your shipment charges and charge your credit card number before leaving the US Hub and forwarding your mails and packages to the final destination. Upon arrival of your packages in your country's office, you will be informed of your packages and mails for you to pick up or be delivered to you (for a nominal fee).